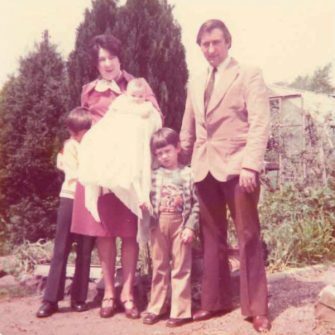 As you may be aware, this year we are celebrating our Diamond Anniversary. 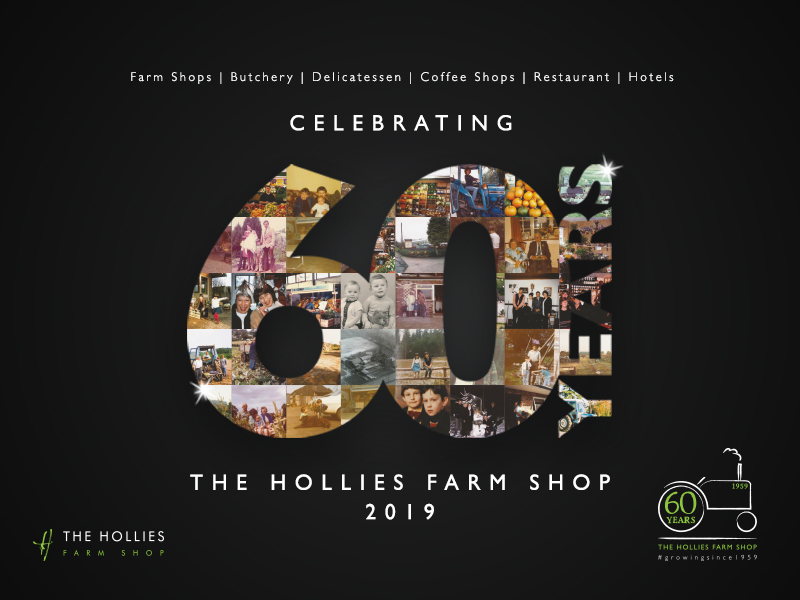 That’s right, The Hollies Farm Shop has been around for 60 years! 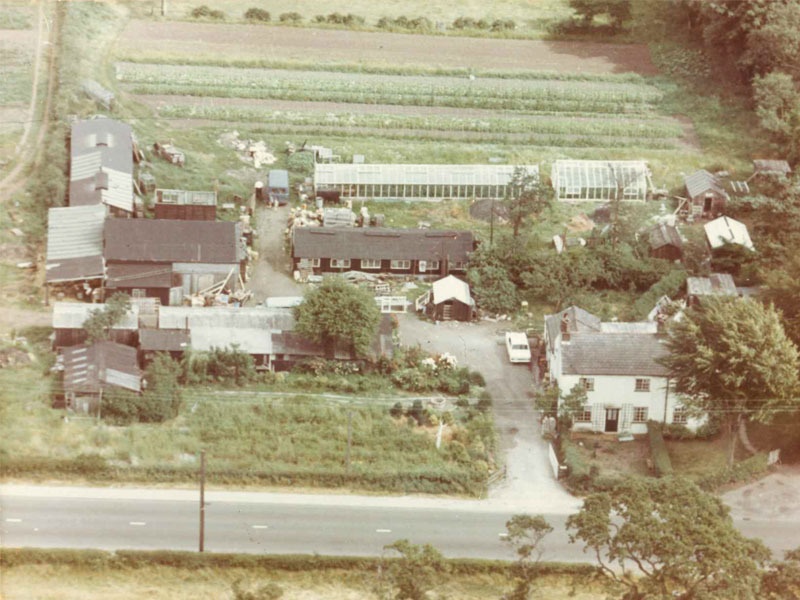 A family business that has been growing since 1959 where it started humbly as an honesty box on the side of the A49. #growingsince1959 represents many meanings. The Cowap family has grown; the team around the family has grown; the business has grown; new businesses have grown; Christmas trees, pumpkins, plants and more are still grown on The Hollies land. Hilary and Richard Cowap with Phil, Ed & Sue. Have you seen our special 60-year anniversary brochure yet? Inside you will find the history of The Hollies and see for yourself how the business has grown over the 60 years. 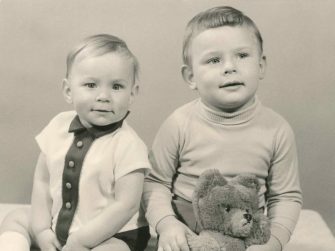 There are comments from past and present team members, customer memories, a fabulous collection of photographs and more! 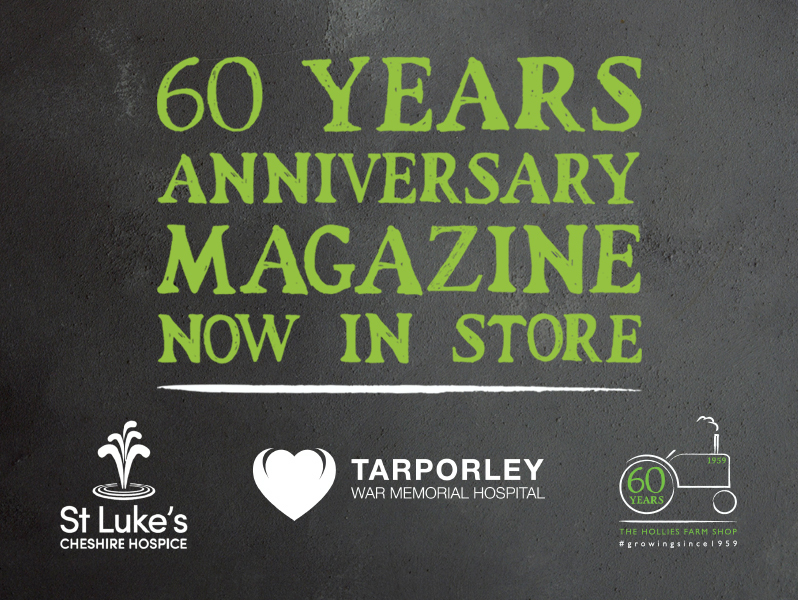 Our 60th anniversary magazine is now available with an RRP of £5 which, in a nostalgic nod to our origins, we ask customers to pay their donation into an honesty box built into the magazine stand. All the money collected over the year will be donated to two local charities; St Luke’s Cheshire Hospice and Tarporley War Memorial Hospital. Both charities offer valuable services to our local community, so help us reach our £10,000 target! Please do pick up an anniversary brochure in store, and please donate to our honesty box. All proceeds will be donated to Tarporley War Memorial Hospital and St. Luke’s Cheshire Hospice. Help us make a difference.